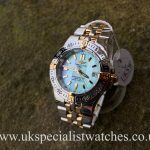 Ladies Breitling Starliner B71340 with a stainless steel 30mm case and a beautiful factory mint green mother of pearl dial with gold baton hour markers. 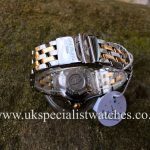 Date displayed at the 3 o’clock. 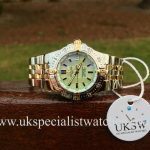 Stainless steel & 18t yellow gold rotational bezel, fitted to a stunning steel and gold pilot bracelet with double folding clasp, water resistant to 100 meters. 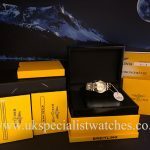 Powered by a Breitling Quartz movement. 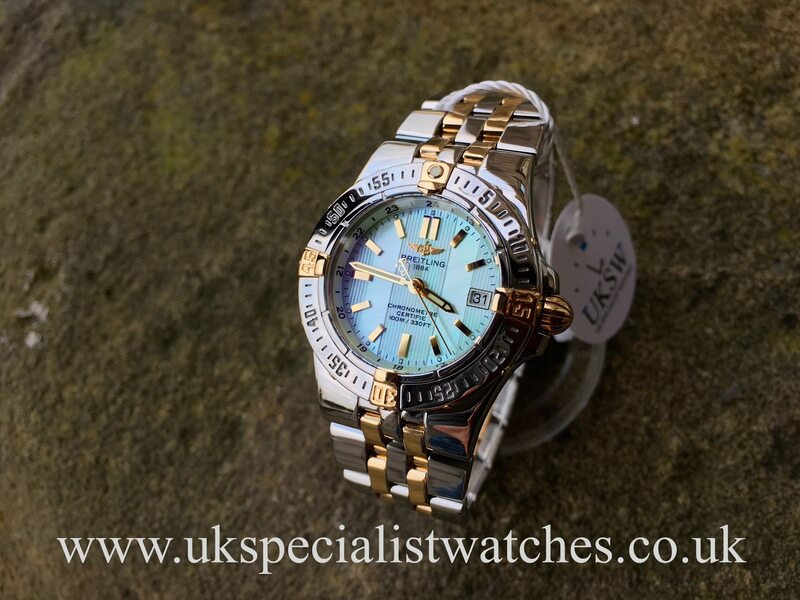 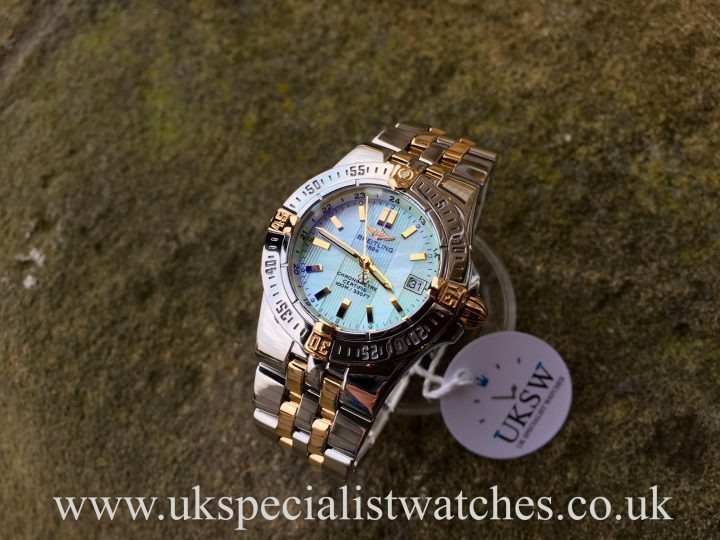 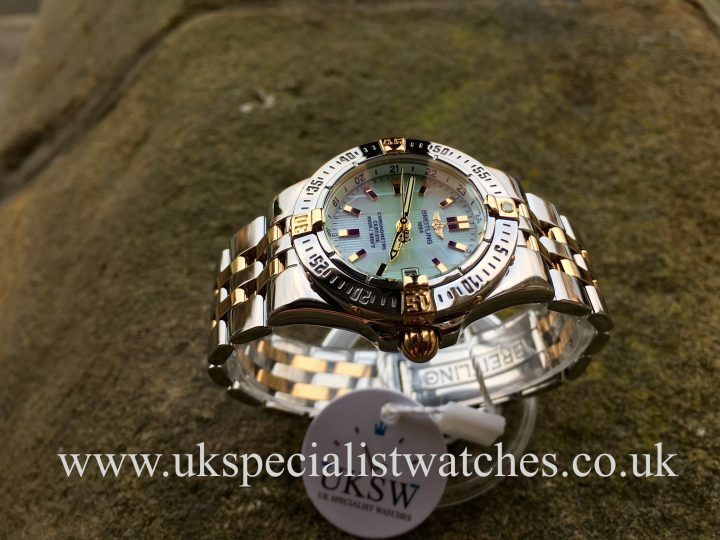 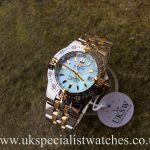 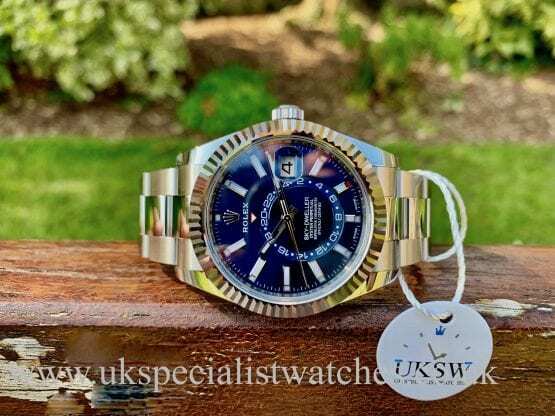 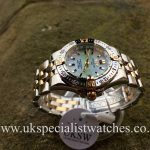 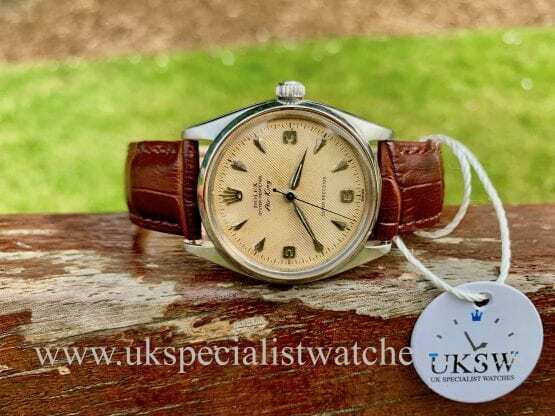 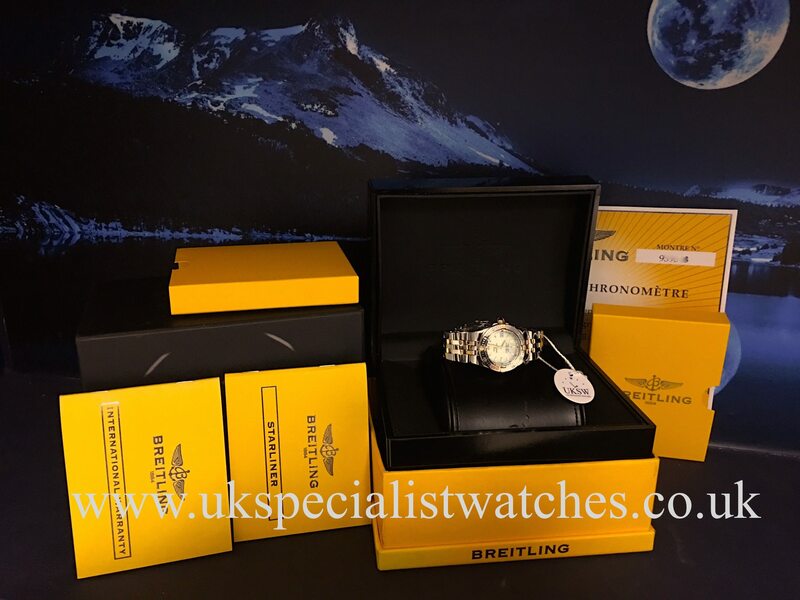 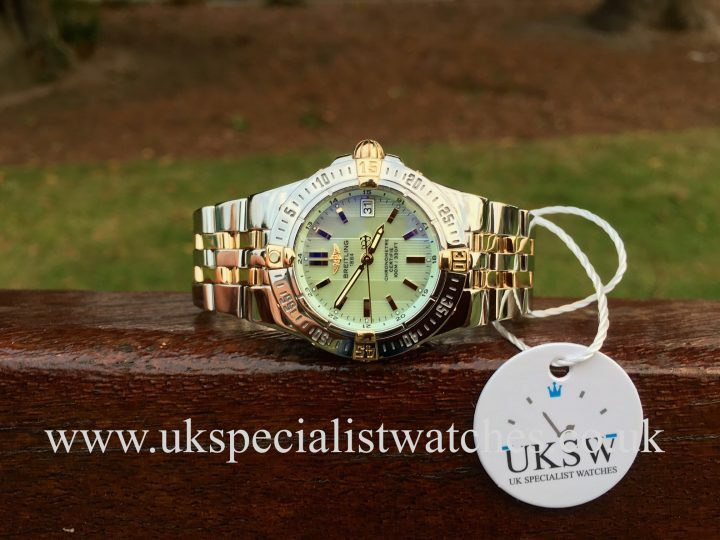 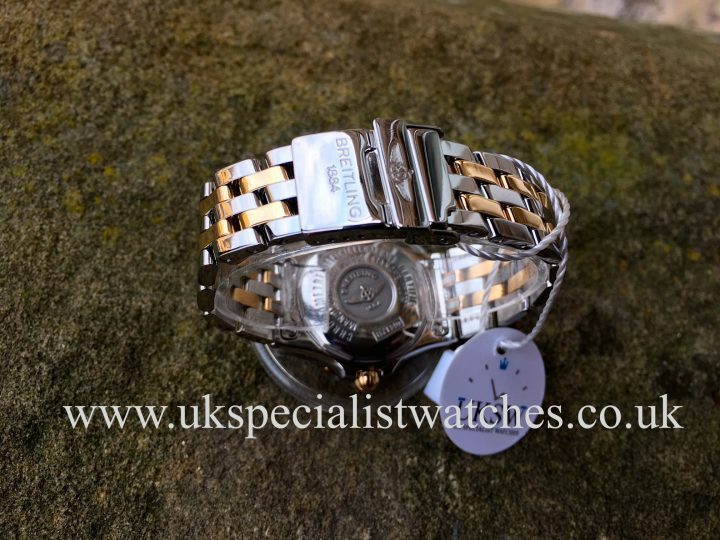 This one owner example is in totally pristine condition and comes complete with original boxes, stamped warranty booklet August 2008, Breitling starliner booklet, spare links, swing tag and chronometer papers.